Whopper's Bunker: G.I.Joe 1st publicity shot! 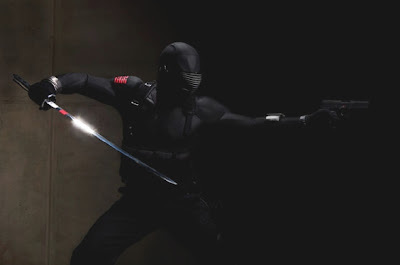 Larry Hama is pretty excited about this image of Ray Park as the "Silent Master" himself, Snake Eyes. And anything that excites Larry excites me too.